Who doesn’t like a healthy and yet filling Bread? 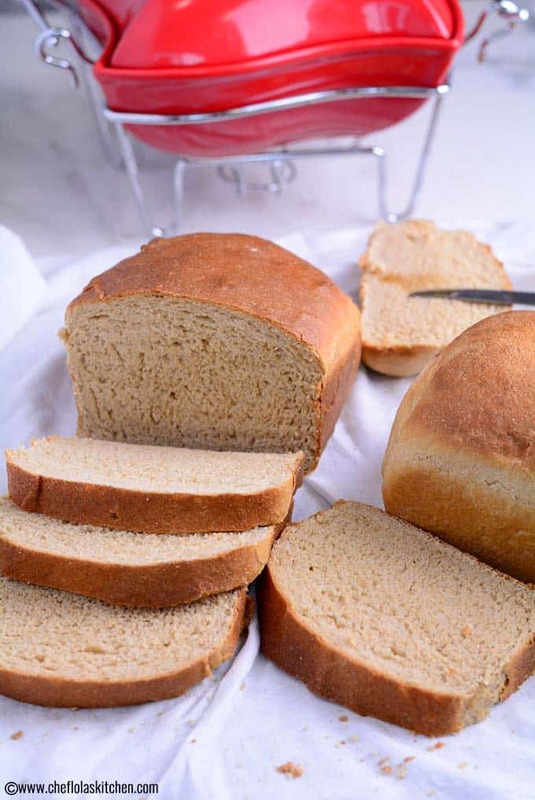 This recipe calls for 100% whole wheat with no white flour added to it. 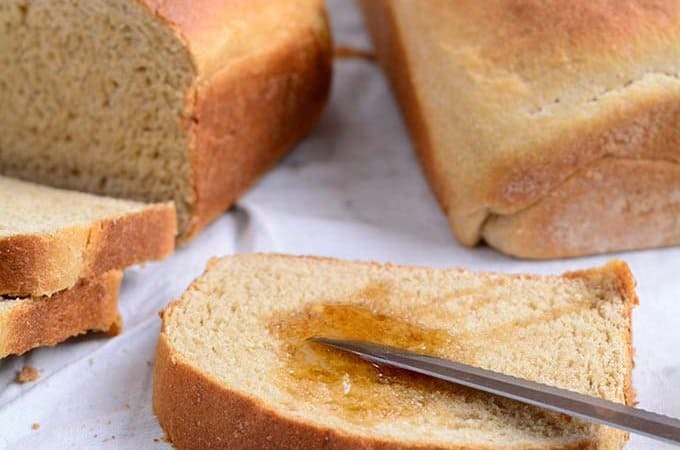 This easy honey whole wheat bread has an awesome density and this makes it hold up well for Sandwiches. It is perfect also for Toasts or and you can also slather some butter over it while it’s still warm. 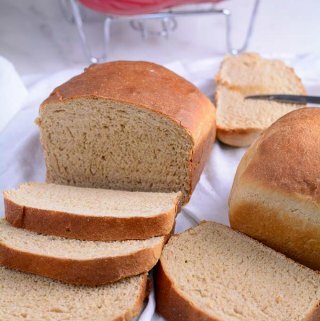 A lot of people actually feel it’s hard to make a moist 100% whole wheat bread without having to mix it up with some white flour. 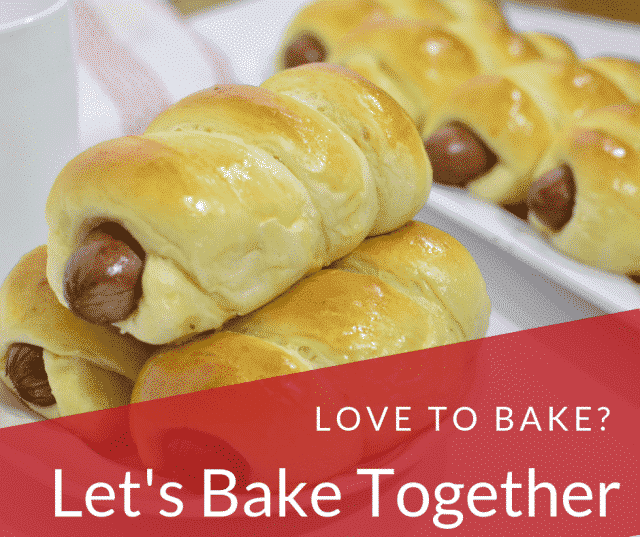 It’s actually very easy to put together but the problem is that Whole wheat flour is pathetically hard, and if the dough is not properly made, it will result to a bread that is extremely dense and hard as a rock. Here is the secret to making a great whole wheat Bread. 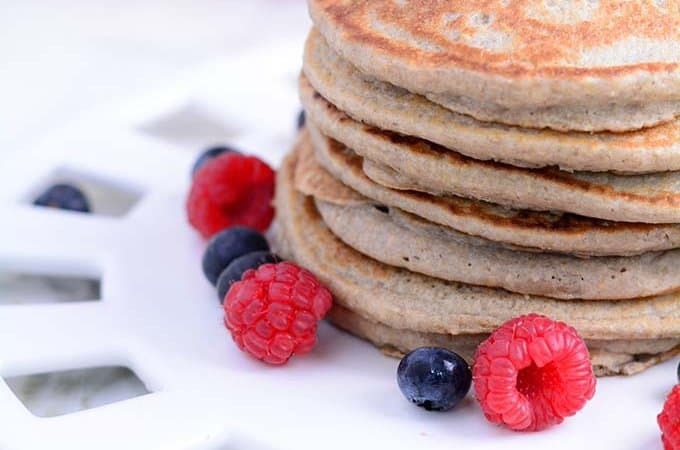 Make sure the whole wheat flour stay hydrated. 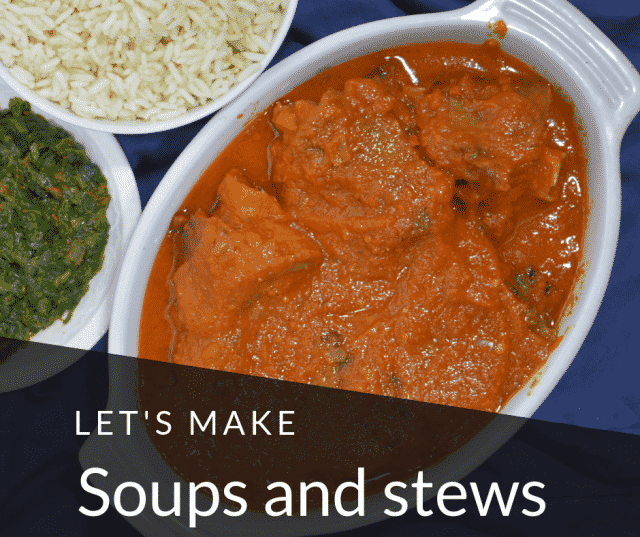 You can achieve this by mixing all the ingredients together, leave it for a while so that the wheat flour can absorb all the liquid and in the process, the flour gets a bit more softened. The resulting dough will be quite wet but workable. Don’t be tempted to add too much flour at this point, you want the dough to be still sticky, but manageable. Adding too much flour will make the dough too dense. 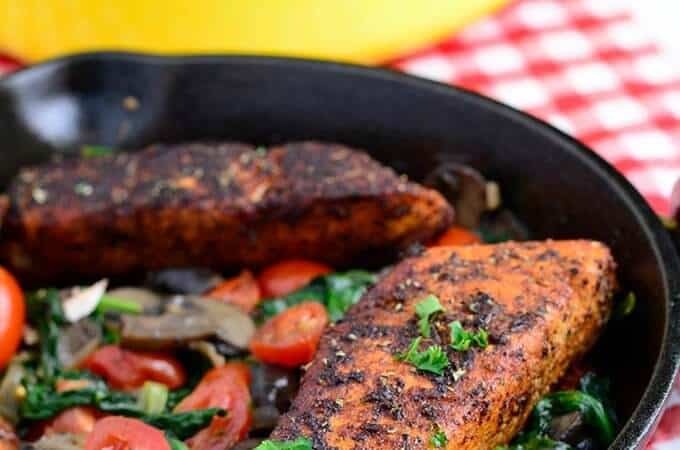 Another secret is the addition of lemon or vinegar which makes the links in the gluten stronger (i.e it improves gluten development) and it also flavor! These are the important things you need to put in place in order to achieve a moist made whole wheat Bread. You can replace the lemon juice with vinegar if you choose to. You can leave the whole wheat bread on the countertop for 2 to 3 days. For variation, you can add some oatmeal on the surface of the bread before baking it. This recipe calls for 6 cups of whole wheat flour and a half cup for kneading. Note that, you don’t need to use all the half cup for kneading. The lesser you use the better. 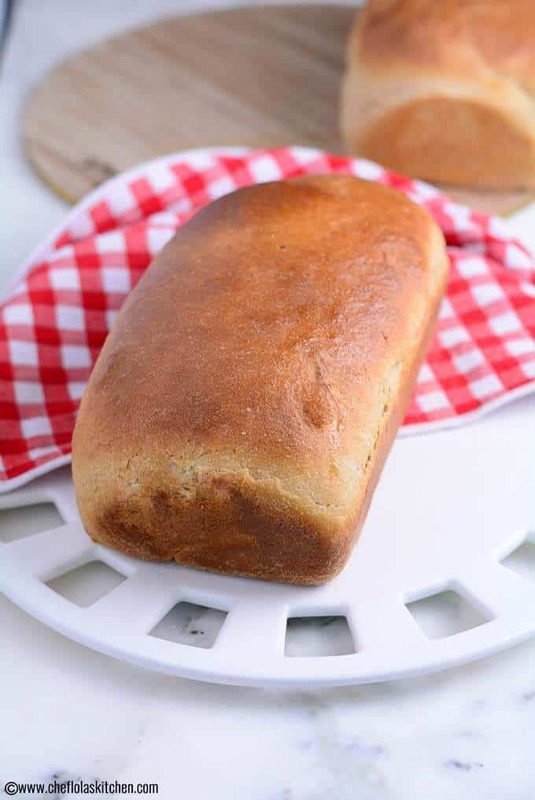 This wheat Bread recipe uses little and easy to find ingredients and it tastes homemade. I think it’s time to reduce our dependency on the store chemical laden and make our very own bread! 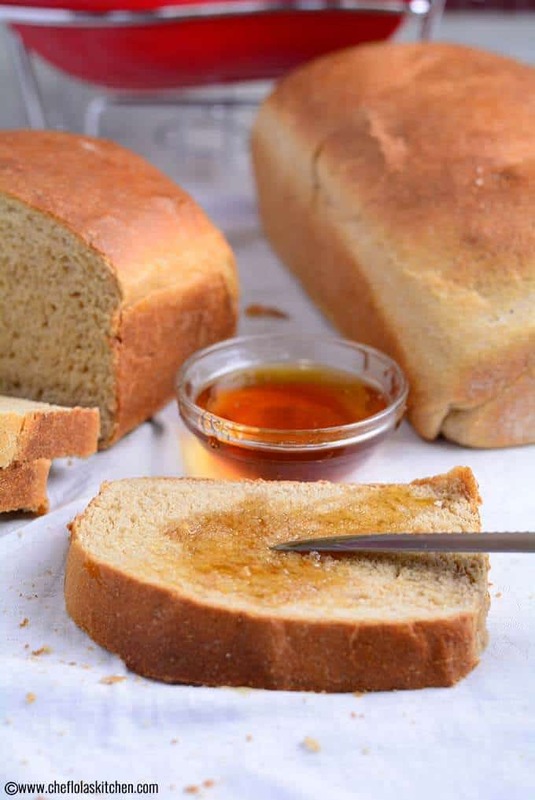 Honey Whole Wheat Bread - A simple great-tasting and easy to make whole wheat bread. Made with 100% whole wheat flour and honey. The slices are moist, tender, slightly chewy with a beautiful crust and great taste. Combine all the ingredients together in a large bowl except the reserved half Cup of wheat flour. Mix until a wet dough is formed. Cover up the dough with a plastic wrap and leave for about 10 to15 minutes, this will allow the wheat grains to soften and you will be able to knead easily. Turn the dough over to your work surface and knead for about 5 to 10 minutes or till it becomes smooth. Use the reserved half cup of flour to dust the work surface of the work table during the kneading process to prevent the dough from sticking. 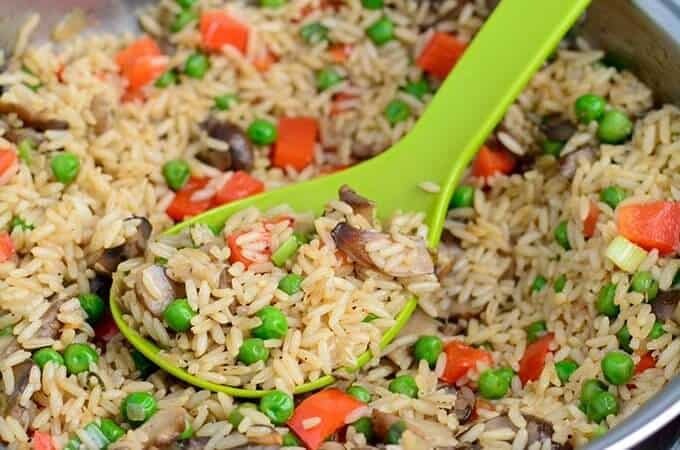 Gather the dough into a smooth ball and grease a large bowl with a neutral Oil then well to prevent it from drying out. Then leave it to rise for about an hour or till it's doubled in size. 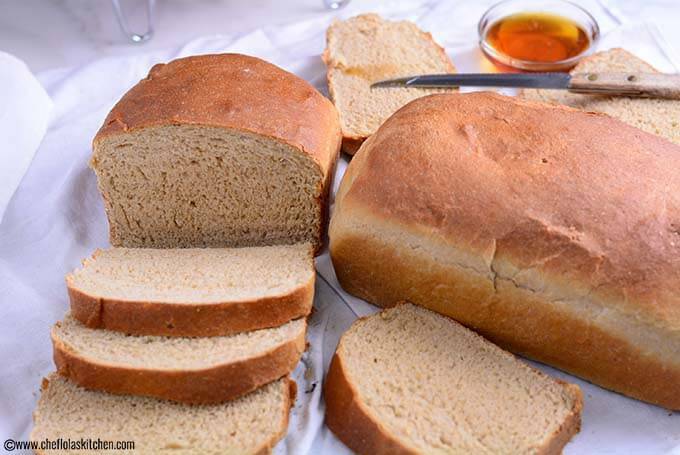 Brush your loaf pan with Oil and dust it with some wheat flour then place the loaves inside the prepared pan and leave it to rise again for about 30 minutes or till it's doubled in size. Put the loaves inside your preheated oven (350°F) and bake for 25 to 30 minutes or till a toothpick inserted in the middle of the Bread comes out clean. Beautiful! But pls where can I get wheat flour? Is it the same with the one we swallow? Hello Lola, thanks for sharing the recipe. May I know what temperature should the milk and water be? Warm or room temperature? I used to make large batches (6 loaves ) of whole wheat bread all the time for my large family, but since my mixer broke we stopped making it. I am looking forward to trying your method. Thanks! Sorry about your broken mixer ???? …Sure please do try it out and I will be glad to get your feedback. Woow Lola u are simply the best. Please wia can I get whole wheat flour I stay in lag. Thanks Ijeoma, you can get the wheat flour in the market, just ask the women selling raw foods, they always have it.